Dancing even more brightly on the dining area window…. This entry was posted in Appreciation, Happiness, Inspiration and tagged Appreciation, Flourish, Happiness, Inspiration, Joy, Life, Perspectives, Spirituality. Bookmark the permalink. 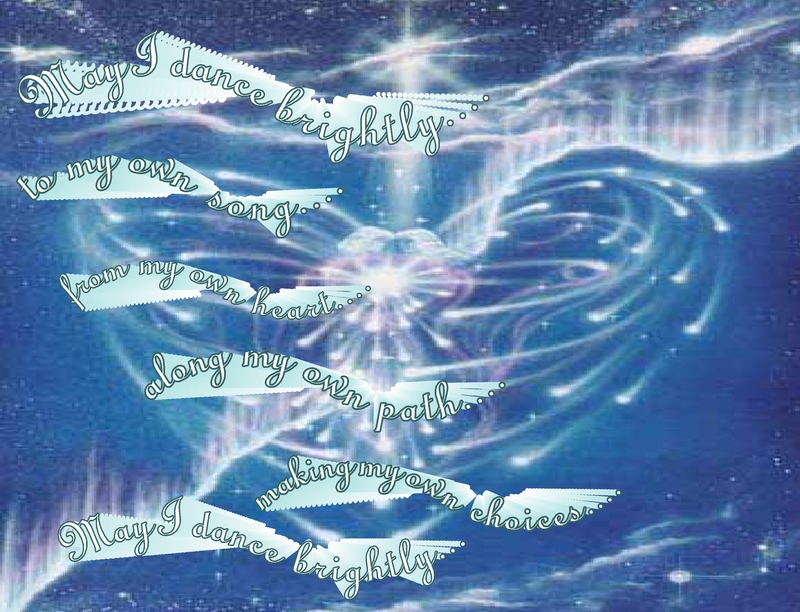 I love to dance! 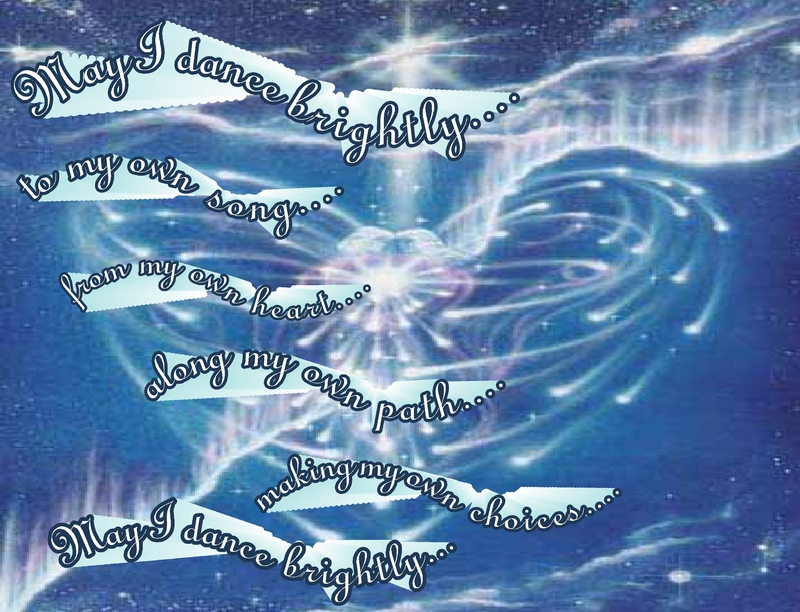 You put this so sweetly, making me want to dance my own dance in life to my own song. So lovely. That’s terrific! I love it…wonderful dancing and happiness! Thanks. I added it to the bottom of the post, too. 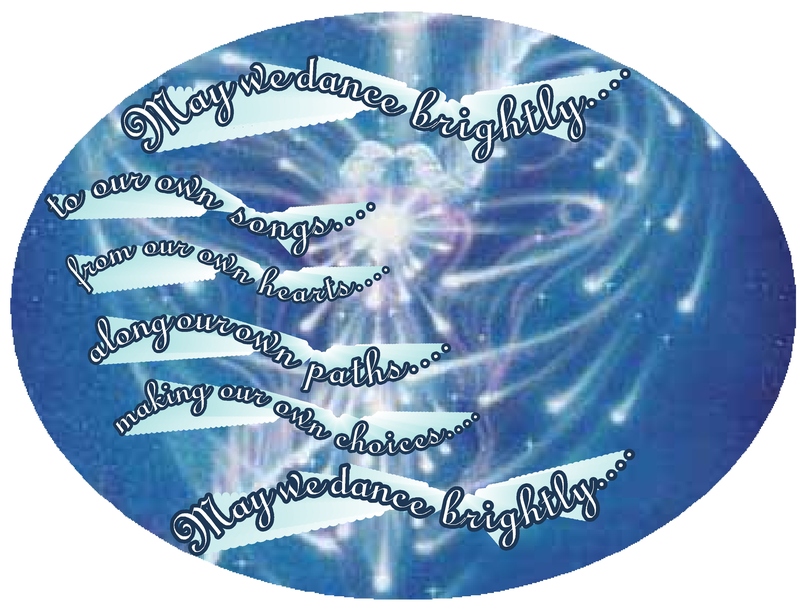 I added a few links to the bottom of the post above, songs I heard as I went to laminate a few “Dance brightly” suncatchers…Van Morrison singing GladTidings and then Rufus Wainwright singing Hallelujah…very different, but both special…dancing around the kitchen, happily and brightly! I don’t have a dancing bone in my body but that Bring Me Sunshine sure makes me want too! 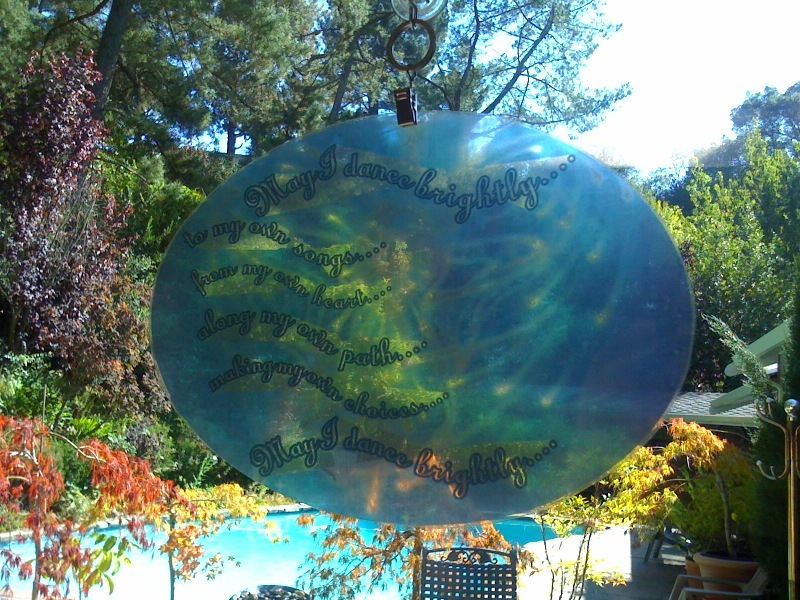 Your graphic will make a beautiful sun catcher. I just added some photos of the suncatchers to the bottom of the post…. I have some little ones too…hmmm…where shall I put them??? I got that Bring Me Sunshine video from your site, linked through Spirit Lights the Way…thank you so much!!!! It’s wonderful! Amen to that. What a bright and joyfilled post. A lovely blog as well. Thank you….your site is wonderful too. This blog has gotten quite big…I hope you enjoy looking through it. 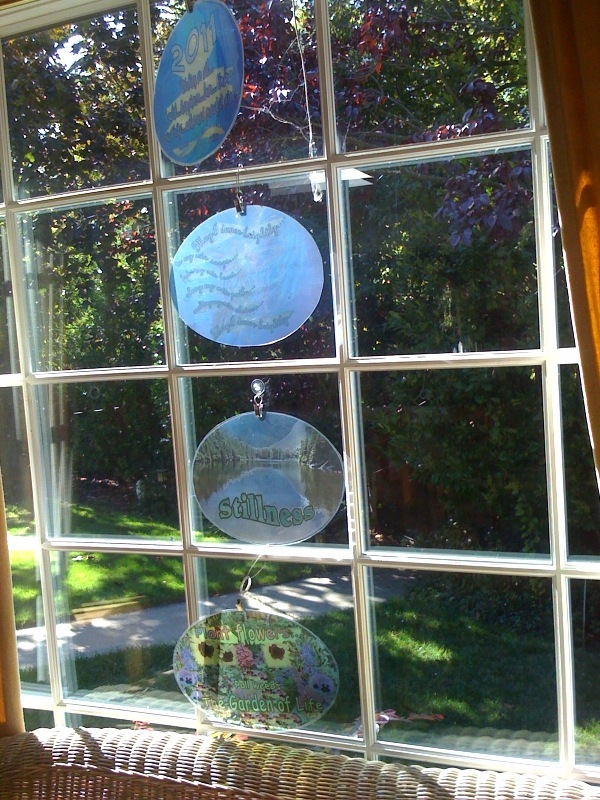 Yes, I did make those oval suncatchers. I print the images, from this and other posts, on transparencies and then laminate them on a small laminator. I love the way they look with light coming through them, and am reminded to “practice” the ideas in a “lighthearted”manner. Lovely words, Kathy. 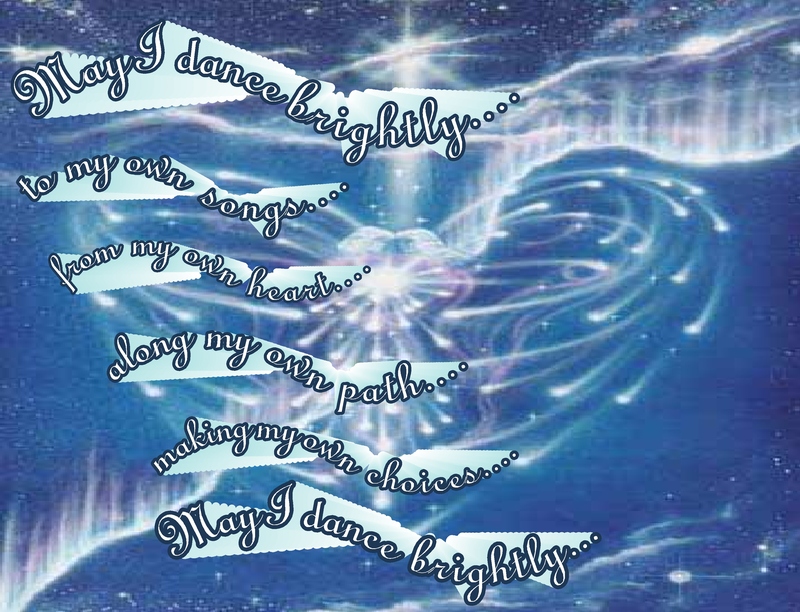 I like the thought of dancing through life!